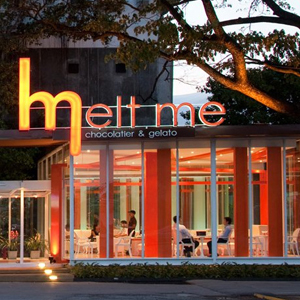 We like Melt Me. We really do. Even if it is corporate owned (part of the Oishi Group) we think the crafted Hokkido chocolate and awesome ice cream flavors make up for it. There's everything from your standard Hokkaido Milk, to Yakult, to Red Bull Gelato. This branch at Arena 10 (right next to some of the best clubs in the Thonglor-Ekamai area) is one of the largest, with roomy seats and a closing time at 2 in the a.m.—because nothing goes better with vodka shots than red bull ice cream. From Thonglor BTS Station, take a taxi and turn right into Thonglor Soi 10, look for Arena 10 on your left.